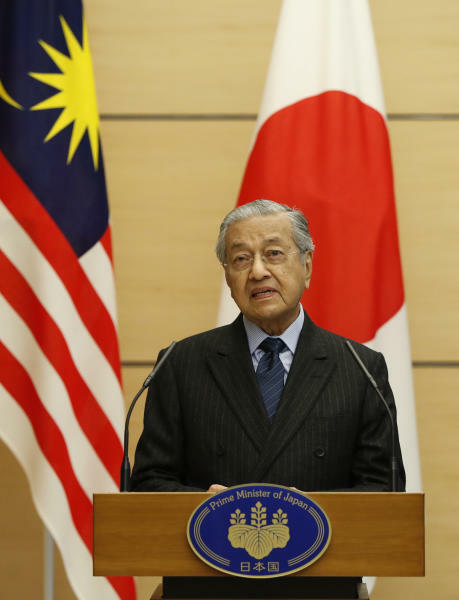 Malaysian Prime Minister Mahathir Mohamad, 93, who has long advocated learning from Japan's postwar economic growth, resumed the country's leadership in May and is tackling debt problems left behind by his predecessor. 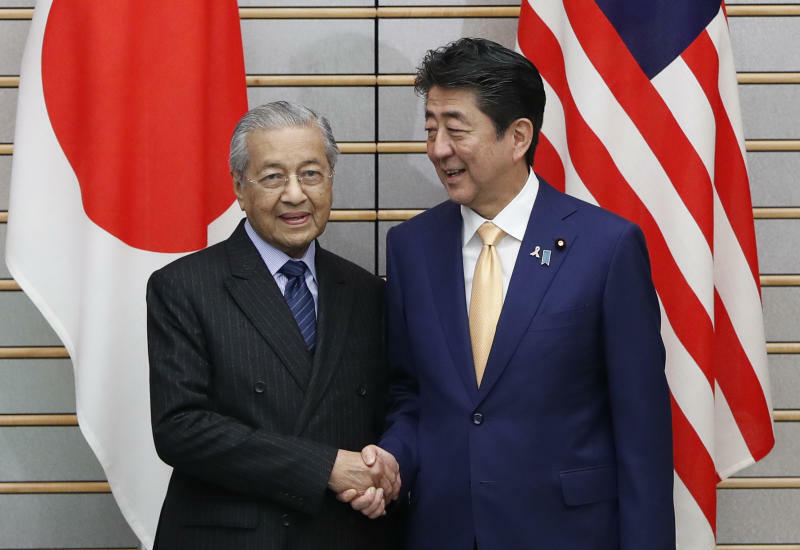 "I have so much respect for Prime Minister Mahathir's vigorous effort to build a country of fairness by once again bearing a heavy responsibility as leader," Abe told a joint news conference. 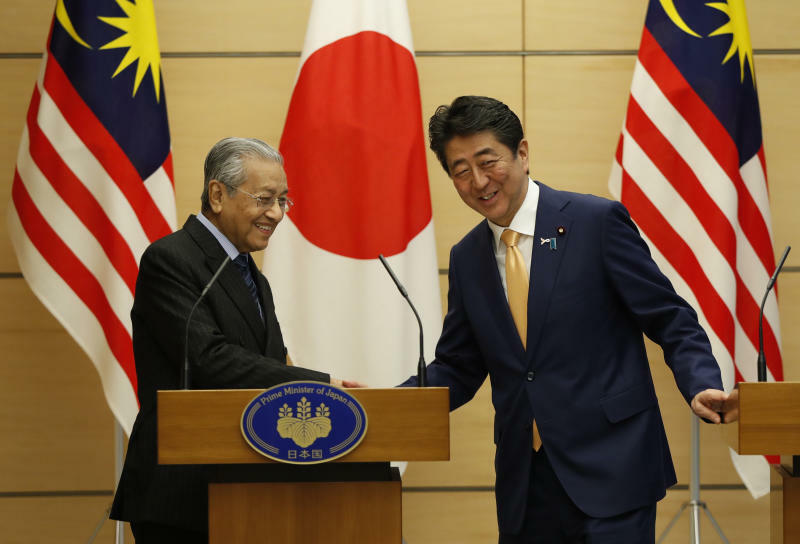 He said Japan is committed to continuing its cooperation and assistance for Malaysia, including in investment, technology and infrastructure, including high-speed train systems. Mahathir thanked Japan for its "very positive attitude" in helping to resolve Malaysia' financial problems. His government says Malaysia has national debt and liabilities of nearly 1.1 trillion ringgit ($264 billion), almost 40 percent more than disclosed by the former government, in part because of a massive graft scandal at a state investment fund. The 1MDB fund scandal contributed to the ouster of former leader Najib Razak in May elections, ushering in the country's first change of power since independence from Britain in 1957. Abe said Japan's planned issuance of yen-denominated "samurai bonds" will be guaranteed by the Japan Bank for International Cooperation, and further details will be worked out. Earlier Tuesday, Emperor Akihito presented Mahathir with one of Japan's highest awards for his international and cultural achievements.